Richard’s Jewelry embraces 21st century technology with the addition of our Laser Welder! We are currently the only jeweler in the area that offers this capability. 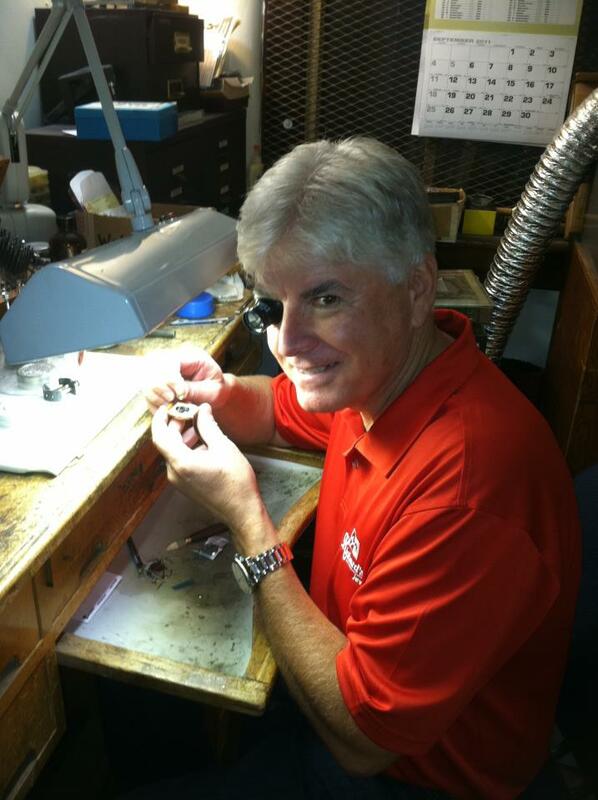 Our repair department can handle the repairs that many other jewelers may say they could not. We are capable of working with a variety of metals including, gold, platinum & sterling silver. Below is a list of our complete in-house repair services. Laser Welding is the ability to weld metals using amplified light as the source to produce the weld. Laser Welding uses a specific wave length of light to accomplish the welding process. This light is concentrated, adjusted and controlled by the jeweler (much in the same way as he would control and adjust the flame of a soldering torch. However, laser welding is faster, cleaner and more cost effective for many manufacturing and repair problems. Treat all jewelry with care. Store it smartly, wear it gently and keep it clean. Do not use lotion or sunscreen near your rings. Lotions will dull the shine of the ring’s gems and metal and it will be more difficult to clean later. Regularly bring your jewelry in to a jewelry store to have the piece inspected for problem areas. This will prevent major problems in the further, and at the very least, you will get a professional cleaning. We recommend that you have your jewelry cleaned and checked every 6 months. Be gentle with pearls. When they’re stored, keep them in a pearl envelope or a soft bag. Do not keep them in plastic, pearls need to breathe. After you wear pearls, wipe them down with a soft, clean cloth to remove dirt & oils. Apply hairspray and perfume before putting on pearls. Do not allow other jewelry to rub again pearls – they will scratch easily. Clean your pearls with a mild hand soap and water, but do not soak them. Let the pearls dry for 24 hours by lying flat to dry. Do not submerse in regular jewelry cleaner. Please Remember: When in doubt, do not clean the jewelry yourself. Always bring it to a jewelry professional!